OUR TEAM HAS THE EXPERIENCE TO ENSURE THAT WE DELIVER THE BEST ROOFING, PATIO, CARPORT OR GUTTERING SOLUTIONS TO MEET YOUR NEEDS. 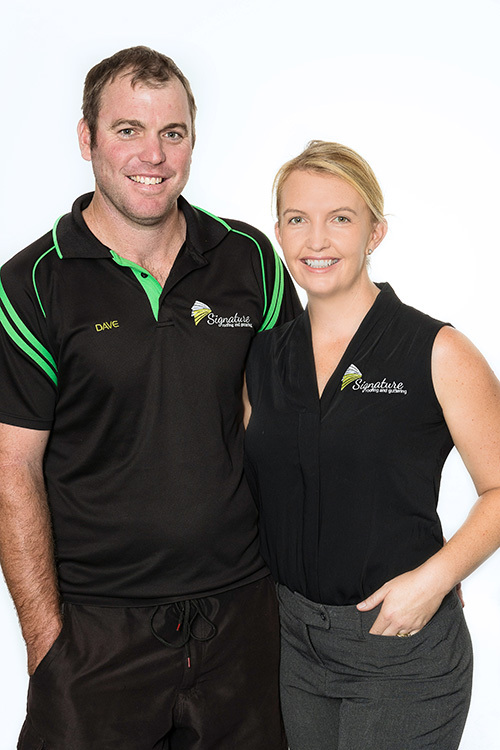 Owners Dave and Bec have called the Sunshine Coast home for 12 years now. 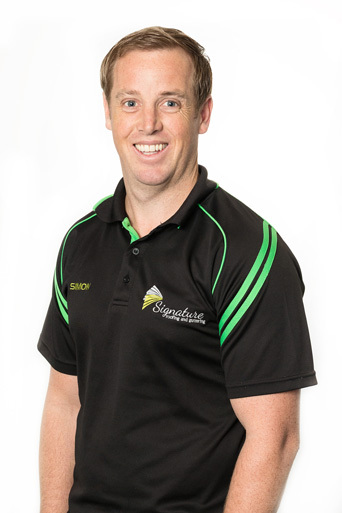 They are very lucky to have Signature Roofing and Guttering’s head office on the beautiful Sunshine Coast. 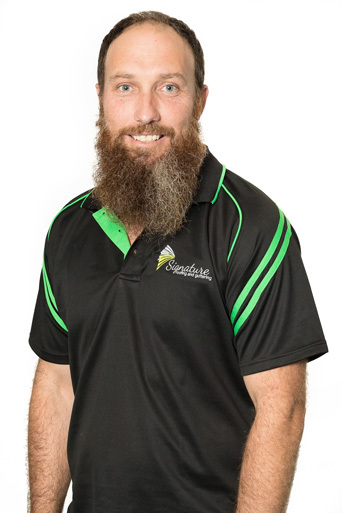 Dave with 20 years of experience in the roofing and construction industry has worked throughout NSW, ACT and QLD. 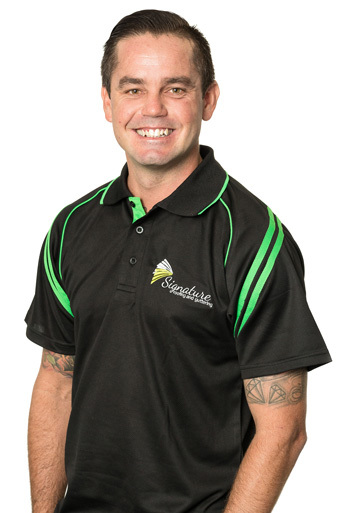 He is passionate about delivering a quality product and service and always maintains excellent customer relations. Both playing an integral part of the business with Bec focusing on administration and marketing side of things while Dave works with the teams on the variety of projects they have running. 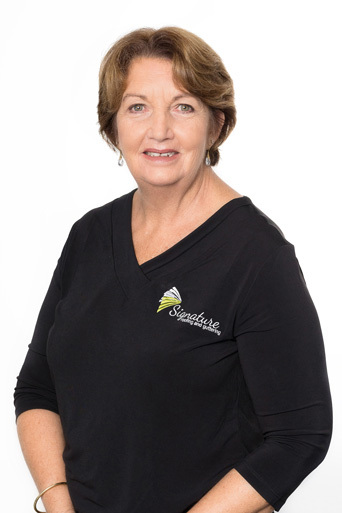 Working as a family unit certainly flows down to how they work with their customers with a strong drive to provide personal service and listening to what their customers need. Signature Roofing and Guttering is now more than roofing it is about an overall experience to have customers covered for a variety of projects. In their down time you will often find Dave and Bec enjoying time outdoors with their kids, either horse riding or motorbike riding. With over 12 years in the building trade I handle the measure ups, quotes and ordering of materials for our roofing and guttering projects. Interests: Snow sports, water sports and fishing. In my role as an estimator for Signature Roofing and Guttering I work in a variety of elements of the projects from quoting, ordering materials right through to liaising with clients and suppliers. I have been in the construction industry for 16 years and have enjoyed every step. Interests: Surfing, golf and fishing. 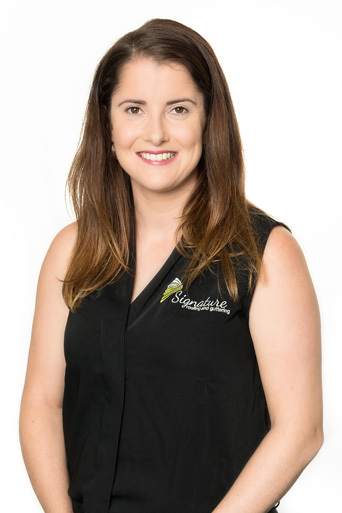 Have worked in a variety of places over the years and have been a property manager, personal banker, worked for Medicare Australia as well as being in the farming industry. Interests: So many it is hard to list just a few…. family, grandchildren, catching up with friends, travelling with my hubby, horse riding, sitting back to enjoy a coffee or a wine. 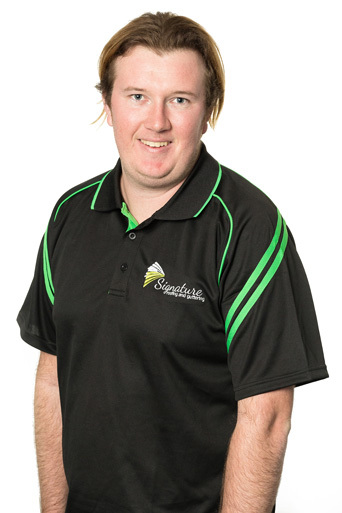 I have worked in Administration for approximately 8 years, all construction based. Have taken time out to begin raising two children and working with Signature part time as given me the flexibility to do this. Interests: Hanging with my kids, spending quality time with friends having a laugh, curling up with a good book, good food & wine. 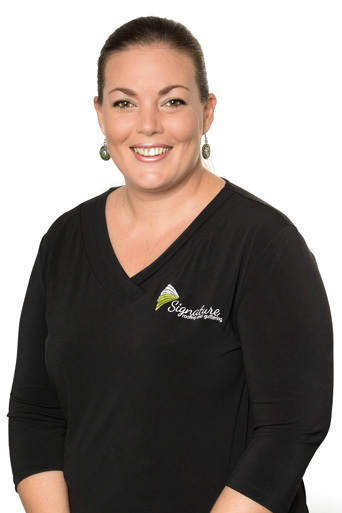 I am a mother of 2 very active boys and have called the Sunshine coast my home for the last 25 years. I have been involved in the building industry for at the last 15 years as my husband is a sheet metal roofer. Interests: My family are the most important people in my life. As a family, we love our 4x4 camping trips every year. I love the beach and fishing. 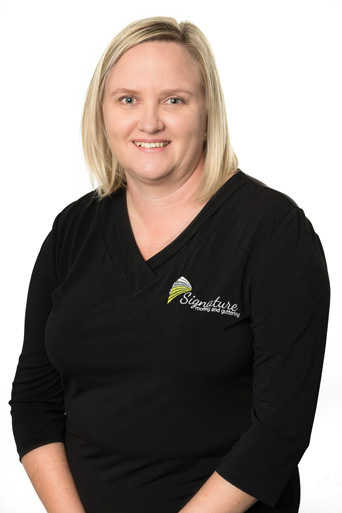 I have worked in a variety of administrative roles over the past 15 years in various industries ranging from construction, pharmaceutical & the community sector. Interests: In my spare time I enjoy spending time at the beach with my family & getting involved in my girls sporting activities. As the Supervisor, I ensure our roofing and guttering projects are completed in a timely fashion in addition to acting as quality control upon completion. My years of roofing and guttering experience has covered everything from residential to commercial and of course insurance work. It has taken me as far north as Cairns and the Atherton Tablelands and as far south as Narrabrie in the heart of NSW. I love my job which is something few people get to say. Interests: Surfing, body boarding, play rugby league and enjoying afternoon walks on the beach with my wife and our dog Winter. Born and raised on the Sunshine coast. Ive had various roles over the years in the building industry, so this helps with my role of ordering materials and speaking with Clients. Interests: Riding My Harley Davidson and Motocross.